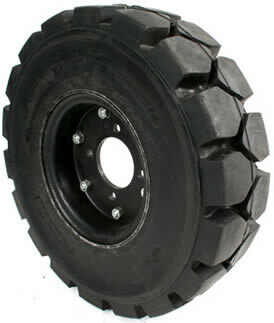 Heavy Duty Solid Cushion Tyre. 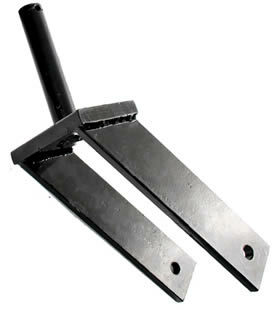 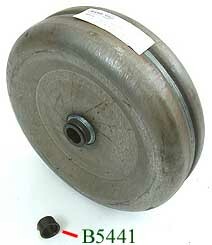 1" dia Axle Bolt Included for Fork Mounting. 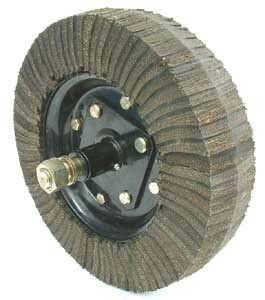 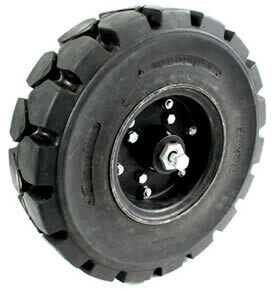 Heavy Duty Solid Cushion Tyre & Wheel. 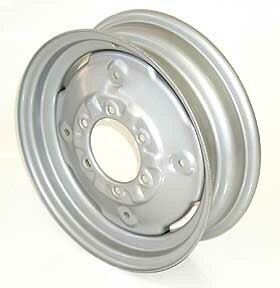 can be fitted to this wheel. 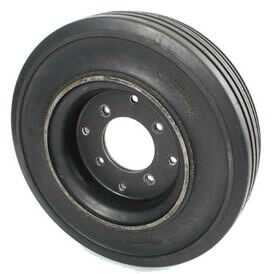 Fits B6439, B6421, B6440 Wheels (above). 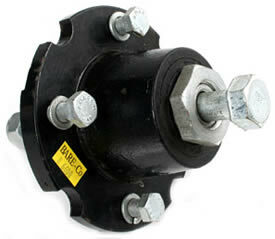 1" dia Axle Bolt Hole. 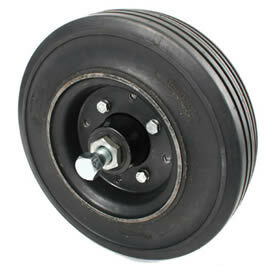 Mounting Arm for B6422 and B6556 Tail Wheel Forks. 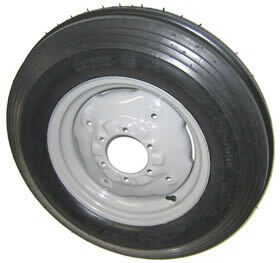 Most other British Tractors with above wheel size. 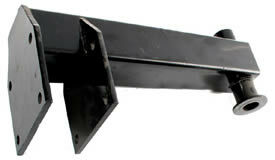 230 mm dia x 60 mm wide x 25 mm I.D. 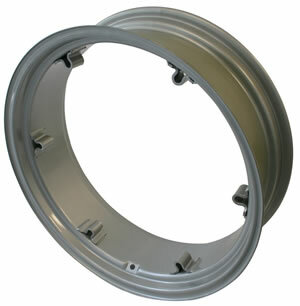 320 mm dia x 100 mm wide x 25 mm I.D.